If you haven’t already watched the following video of Richard Gage from ARCHITECTS and ENGINEERS For 9/11 TRUTH shown on C-SPAN, then only seeing is believing. This unparalleled breakthrough of 9/11 truth into the mainstream media is as consequential as it is explosive for both the real perpetrators and the entire nation. This irrefutable presentation on the collapse of Building #7 of the World Trade Center Complex is particularly damning because of the authoritative science offered as proof that the 9/11 Commission Report is a fraud. The ramifications are so far-reaching and profound that the entire world will undoubtedly change with the dissemination of these stunning, yet self-evident, revelations! Just in case the preceding video did not provide a compelling enough case for those who stand by the 9/11 Commission Report, here’s another one with some excellent testimony by some very serious experts in the field of controlled demolition. The official 9/11 Commission Report has been proven to be an entirely fraudulent document covering up an investigation that never really took place. The engineering experts and architectural authorities have presented irrefutable evidence of that the World Trade Center buildings were not brought down by airplanes and fires. What, then, caused the three buildings to implode and fall neatly into their own footprints? Every aspect of the 9/11 terrorist attacks on the World Trade Center and Pentagon remains under serious question thirteen years later. Each of these unanswered questions begs for government responses that, at the very, least do not violate the laws of engineering and architecture, physics and chemistry, metallurgy and fire science. 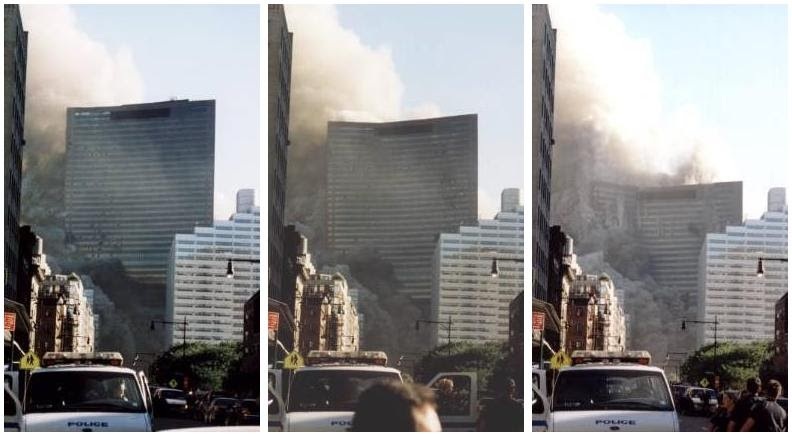 If the US Federal Government refuses to open a high integrity investigation of the greatest terror event in US history, then perhaps the 9/11 TRUTH Movement ought to constitute a formal commission to bring the necessary closure. US Intel: Leader of “Architects and Engineers for 9/11 Truth” Planned 9/11 Attack! Why Are NIST’s 9/11 WTC Reports False and Unscientific? WHO was killed in the 9/11 attack on the Pentagon, and WHY? Will Larry Silverstein ever be brought to justice for 9/11 insurance fraud?